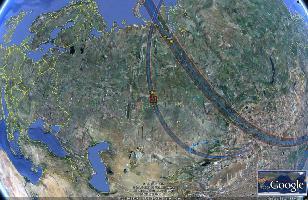 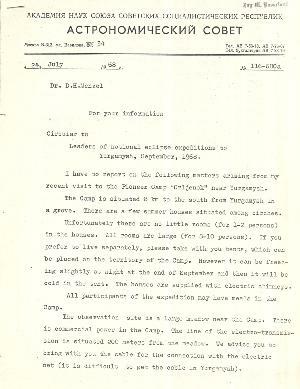 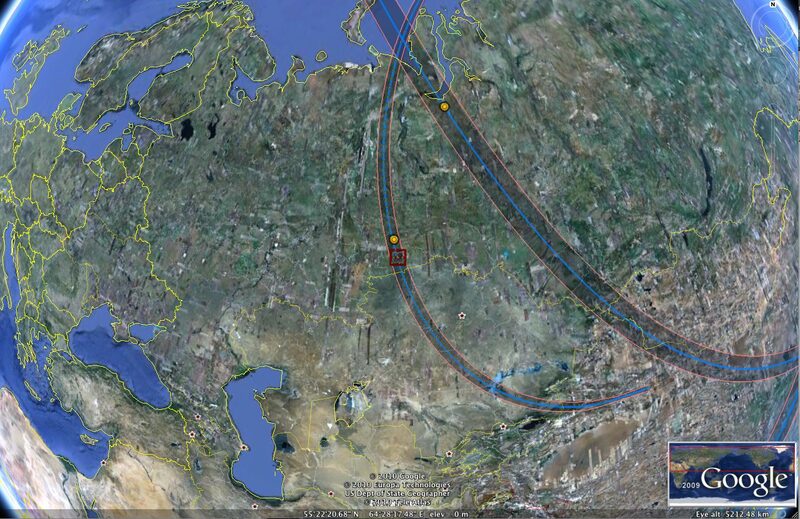 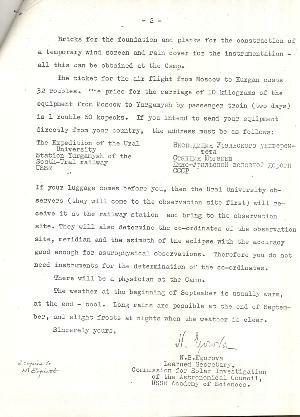 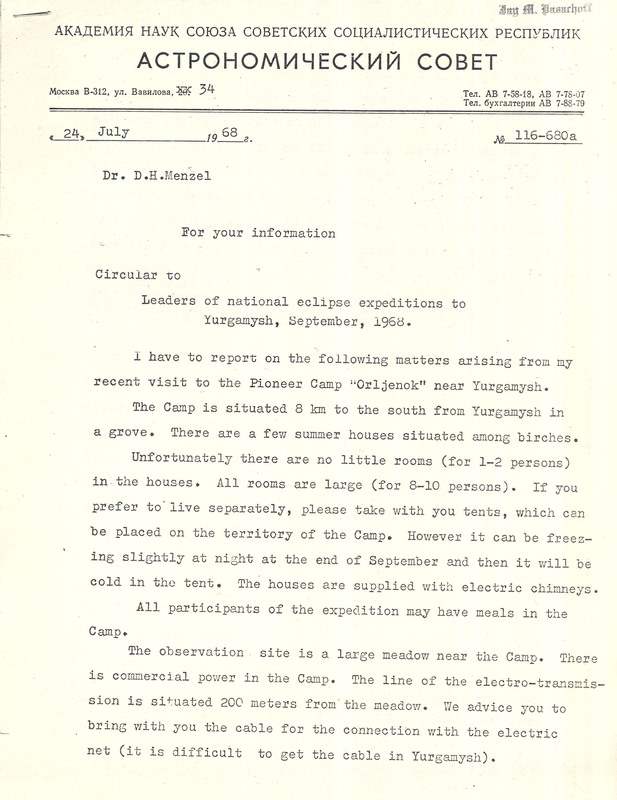 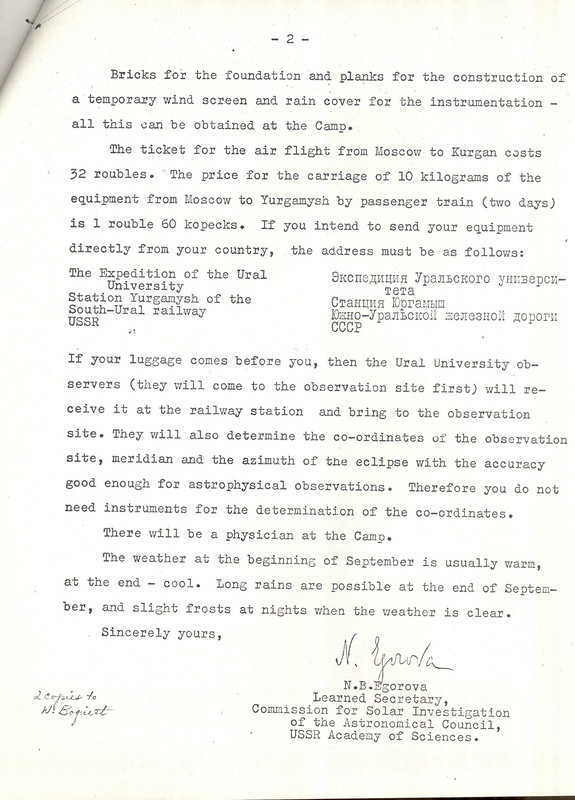 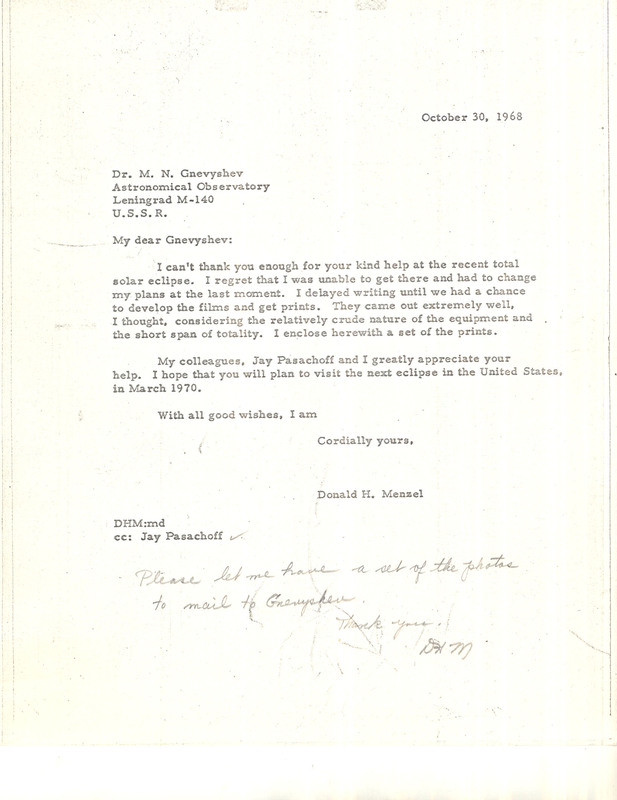 Observations from Yurgamysh, Siberia, by M. N. Gnevyshev of the Astronomical Observatory in Leningrad with a camera sent by D. H. Menzel and J. M. Pasachoff from the Harvard College Observatory and the Smithsonian Astrophysical Observatory. 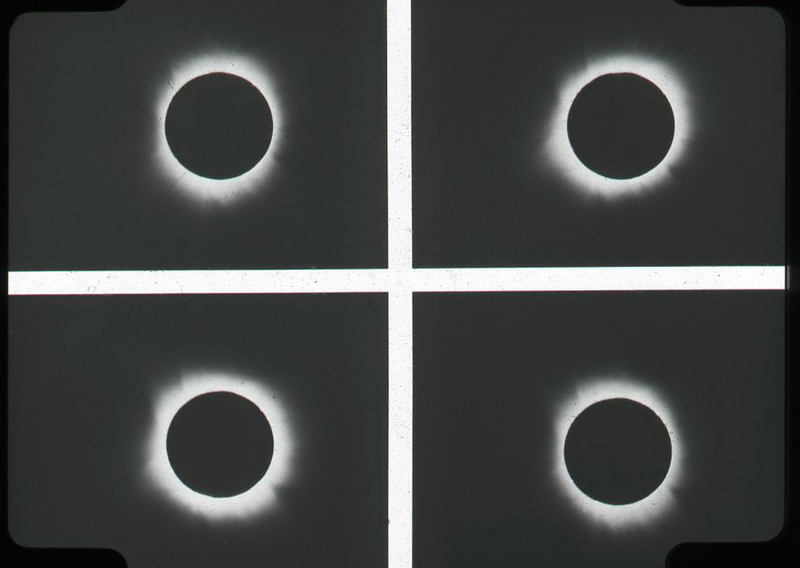 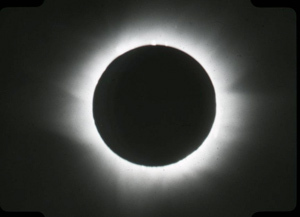 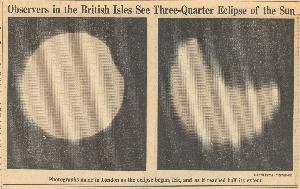 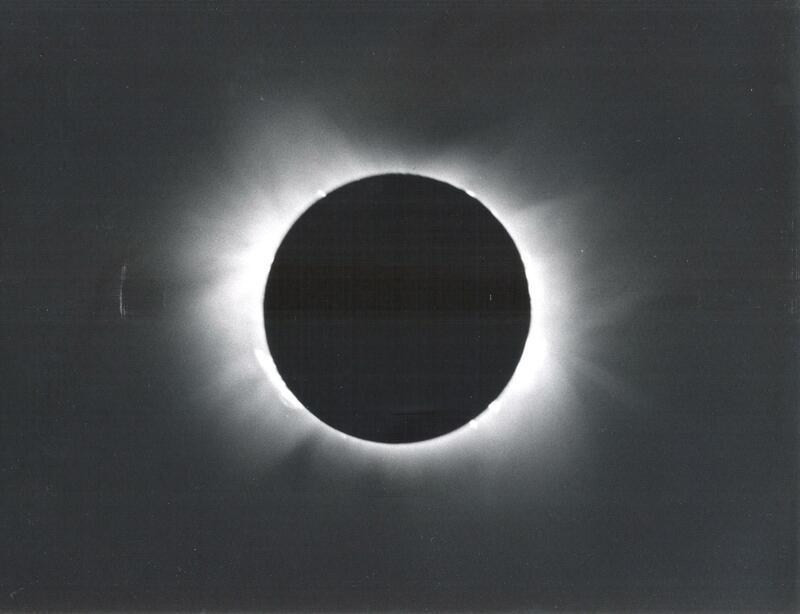 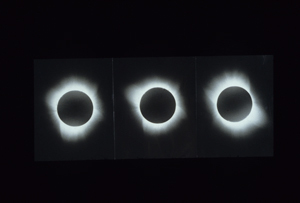 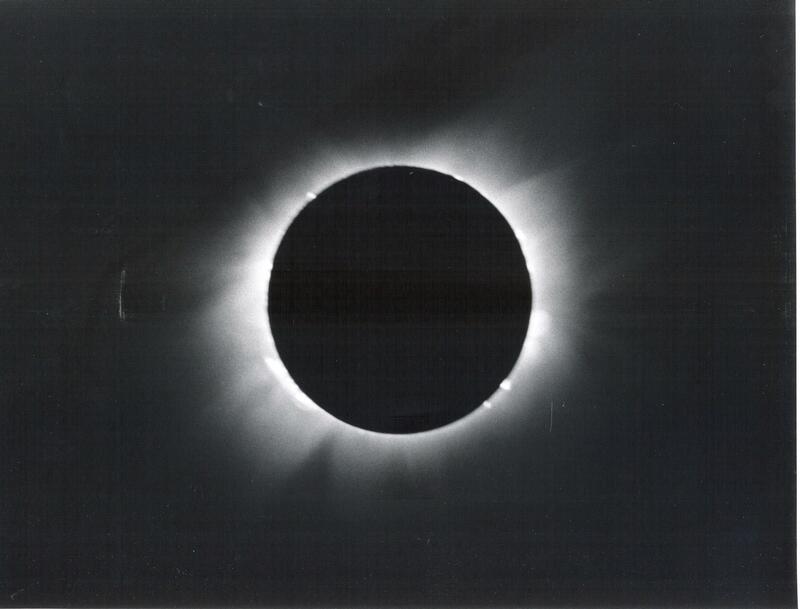 The camera was used to photograph the corona through a polarizing filter at four different angles: 30°, 75°, 120°, and 165° east of north (counterclockwise). 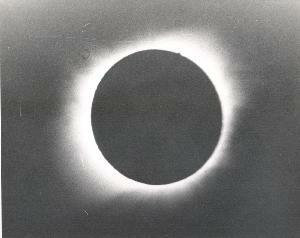 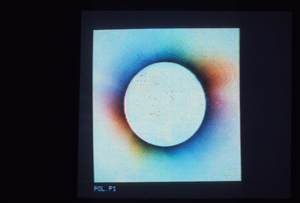 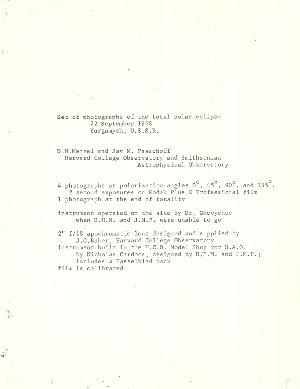 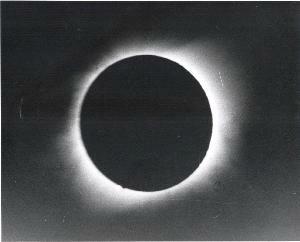 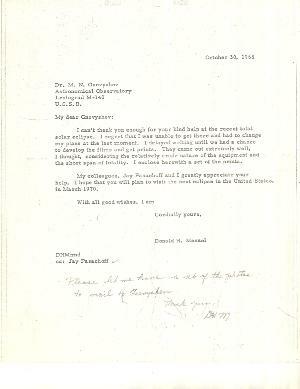 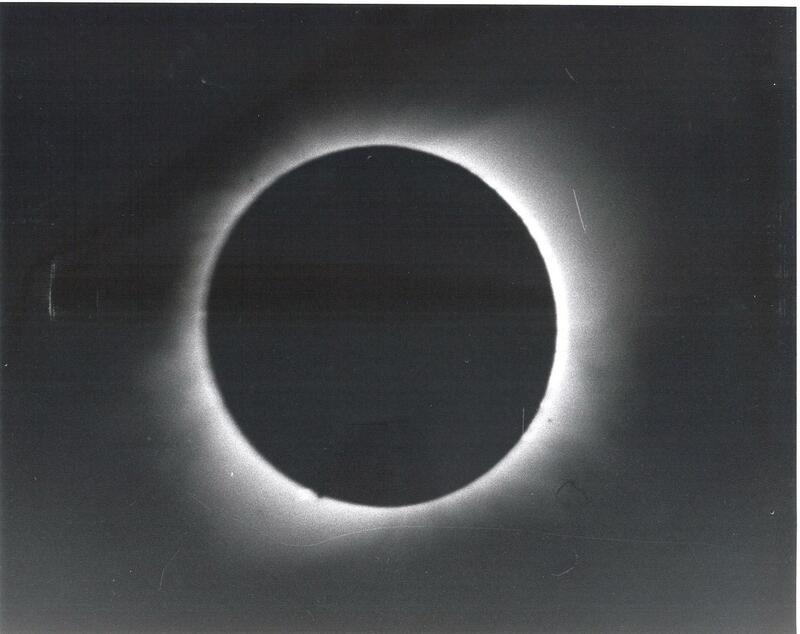 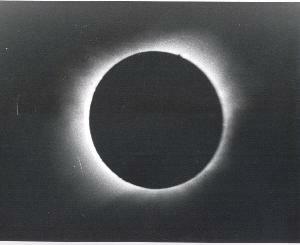 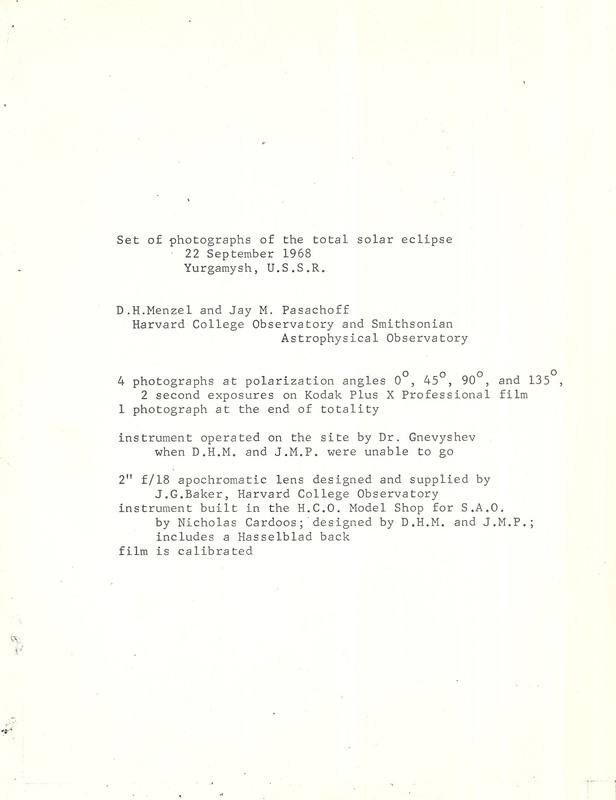 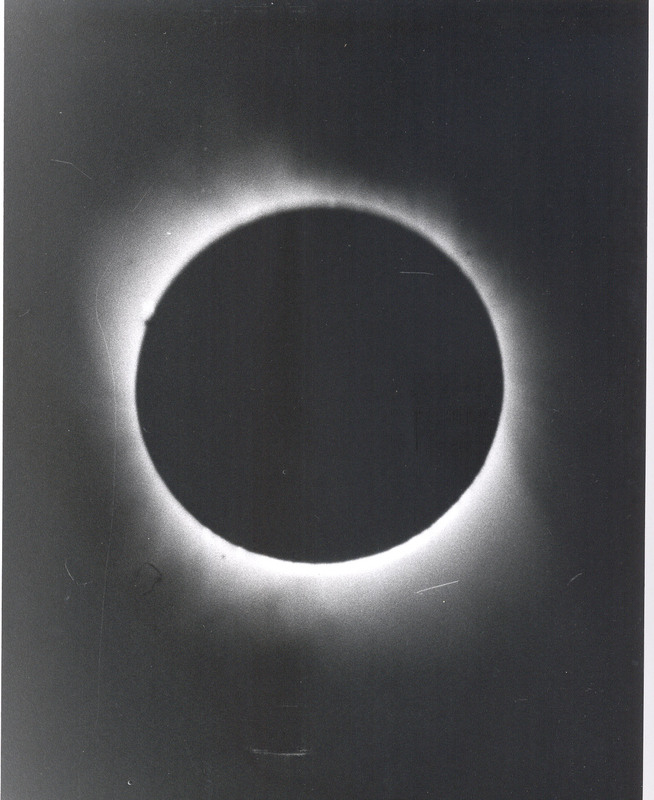 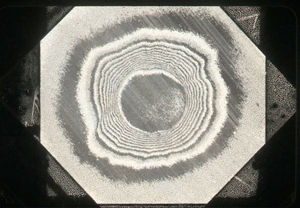 The lens was lent by J. G. Baker at Harvard while L. Wier assisted Menzel and Pasachoff in the eclipse telescope's design. 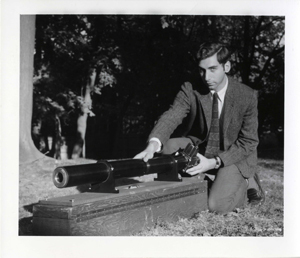 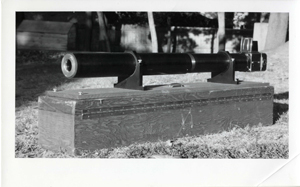 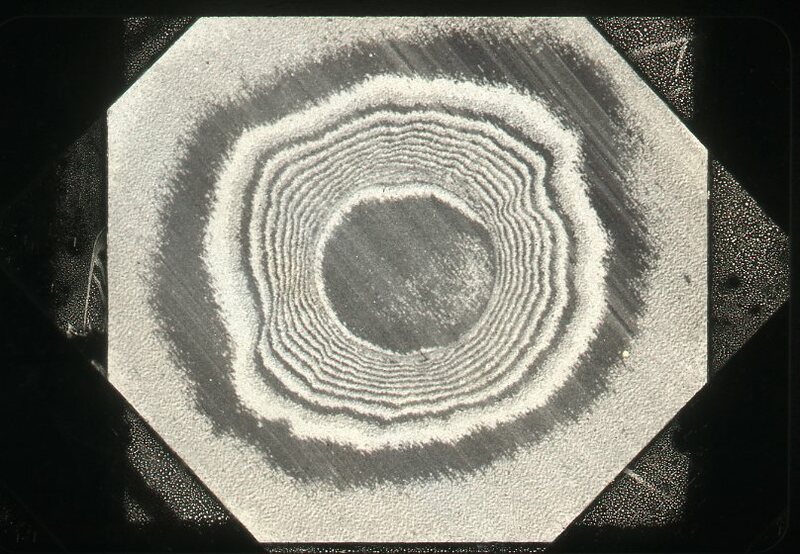 It was constructed by Nicholas Cardoos in the Harvard Observatory's model shop.